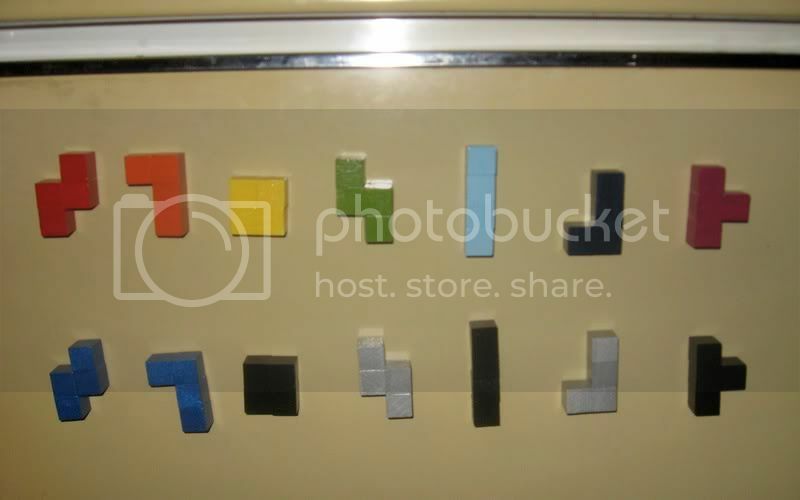 Tetris magnets! I know ThinkGeek sells these but this way you can make them whatever color you want. Also if you don't mind a little spare time spent, making them yourself is less expensive than buying them. The top set is was the 'test' I made first, the bottom set's going to some friends as a housewarming gift. It's hard to tell but the bottom set is colored metallic blue, metallic silver, and glossy black. A great tutorial on how to make these can be found here!